At S2S, our caring staff of licensed, board certified physical therapists (PT) will assist you in getting back to your life as quickly as possible. Your PT will assist you in a motivating and upbeat environment to reach your top performance! Offering a hands on, one-on-one approach, our physical therapists care about your success. Continually striving to provide the most current, evidence based treatment and procedures, our physical therapists are experts in the field of physical therapy. Holding board certifications through the American Board of Physical Therapy Specialists ranks them as the best physical therapist for your injury. From infant to aging, we have got your bones, ligaments, joints, nerves, muscles and tendons covered. At S2S, you are in the right place! Our licensed physical therapists hold the highest certifications available in the field of orthopedic physical therapy; including doctorate degrees in physical therapy, board certifications and specialists designated through the American Academy of Orthopedic Manual Physical Therapists (AAOMPT). These certifications, whereas not required by our state licensing board, demonstrate personal responsibility and dedication to maintain efforts at being an expert in the field! With over 35 years of combined experience, our PT’s strive to be the best. Read more about the Orthopedic Certified Specialist (OCS) exam, the history of AAOMPT, and Physical therapy board certifications. The physical therapists at S2S enjoy mentoring students at universities across the nation as well as working towards research publications. The therapist will discuss personal goals and medical history while utilizing special tests and procedures to determine if physical therapy services are an appropriate intervention. 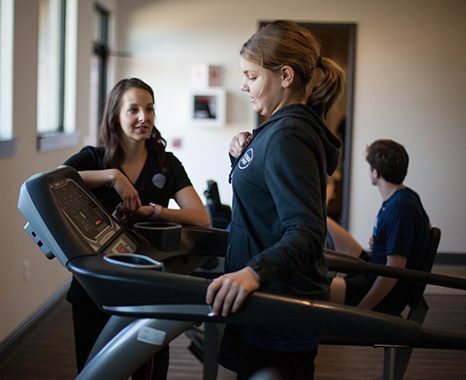 Our physical therapists utilize frequent reassessments to ensure that your recovery does not stagnate and to promote return to previous level of function as quickly and safely as possible! S2S accepts most major insurance plans.